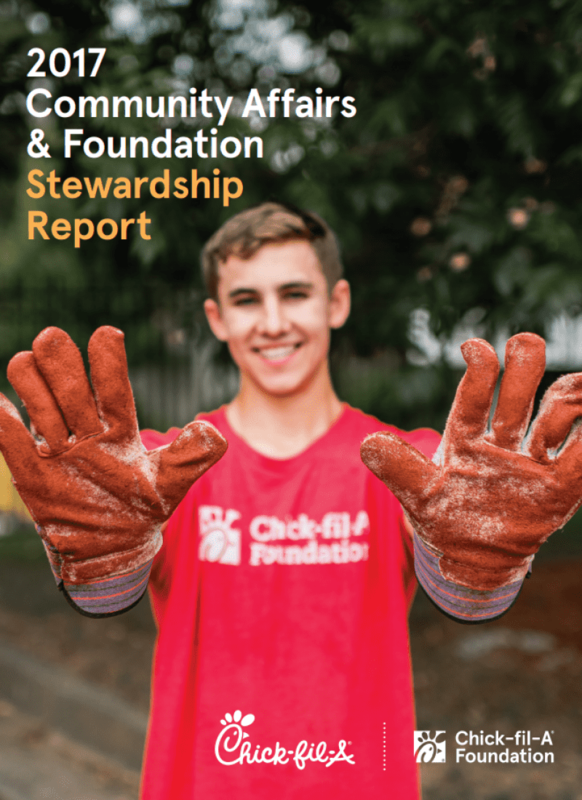 The Chick-fil-A Foundation is pleased to present our 2017 Community Affairs and Foundation Stewardship Report. Please click below to learn about the many partnerships and community programs made possible during 2017. View the 2014 Stewardship Report here. View the 2015 Stewardship Report here. View the 2016 Stewardship Report here.